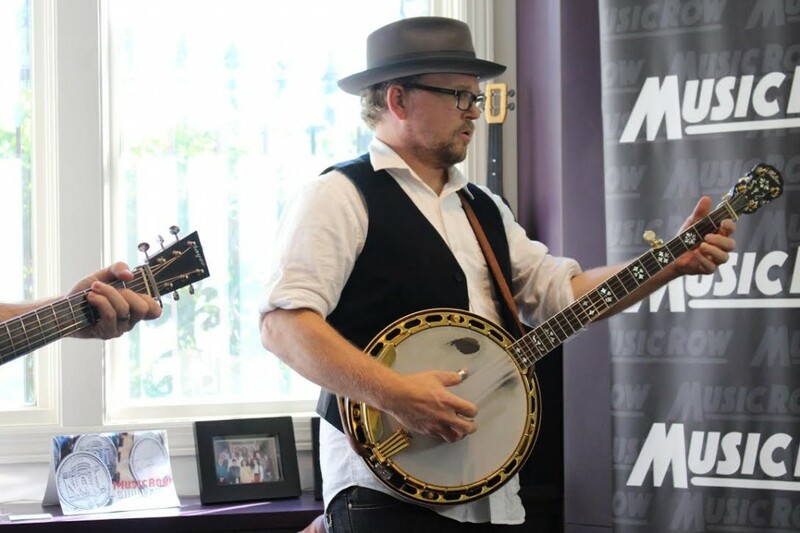 Banjo and guitar maestro Ron Block showcased songs from his first instrumental bluegrass project, Hogan’s House of Music, during a visit to the MusicRow offices. The 16-track collection includes collaborations with numerous top shelf musicians including his Union Station bandmates Barry Bales, Alison Krauss, Dan Tyminski, and Jerry Douglas, along with Stuart Duncan, Sierra Hull, Adam Steffey, Sam Bush, Tim Crouch, Rob Ickes, Clay Hess, Mark Fain, Byron House, Lynn Williams, and Jeff Taylor. At 13, Block became immersed in traditional bluegrass for about five years. At age 18, he fell in love with rock ‘n’ roll while working at his father’s record store, which led to the purchase of a Les Paul. Those rock influences showed during a live performance of “Clinch Mountain Backstep,” as he noted that he will sometimes play the banjo frets similar to a rock guitar manner, and oftentimes employs a fingerpicking style on electric guitar. During his career, Block has collected 14 Grammys, multiple IBMA Awards, a CMA Award, and a Dove Award. Hogan’s House of Music was produced by Block and recorded at Southern Ground Studios in Nashville. It is available on iTunes, amazon.com, and ronblock.com. 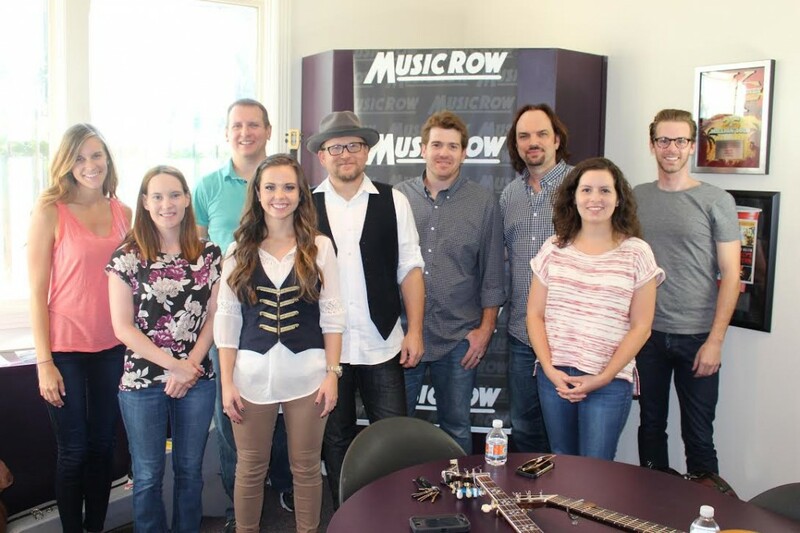 MusicRow staffers welcome Ron Block.